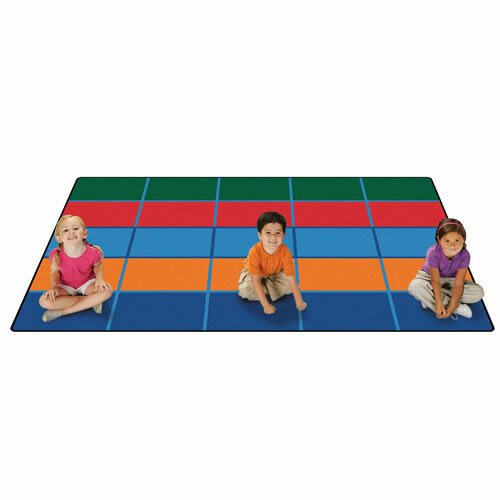 This colorful block rug is designed for small group circletime. The KIDS Value Plus line sports upgraded KIDply® backing and edge yarn for long-lasting carpets that stay looking great. Measures 6' x 9'. Made in the USA.